A family owned and managed company, our core strengths are quick decision making and the ability to develop the laminate tube technically in the directions our customers require. Founded in 1985, we are one of the 9 companies of the Kim Pai Group. Kim Pai Lamitube started life as a small laminated tube producer making toothpaste tubes for Colgate Palmolive and Unilever in Thailand. Our tube expertise has been developed to include multi-layer extruded tubes as well as a wide range of laminated tube options. We believe we are now the technology leader in the laminated tube industry with our well known invisible side seam technology. With our capacities of up to 1,200 million tubes per year, we are growing every year, with 20% volume growth in the past 3 years. 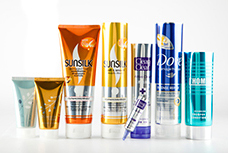 Our customers include Colgate Palmolive, P&G, Lion, J&J, GSK, and Unilever amongst others. Innovation is our main strategy while we have no capital constraints and we do not set a budget limit for key projects. We build on synergies from the Kim Pai Group of companies. We look to develop partnerships with innovative and progressive organizations and we are happy to support our partners for new and joint developments. Our sites operate to ISO 9002 standards and comply with Good Manafacturing Practice (GMP) standards. We ensure full traceability and operate with SPC methods. We have a dedicated team who are trained to ensure quality is their main priority. On time delivery is a key priority and we believe close and ongoing co-operation between Customers and Suppliers is the way to ensure optimal delivery performance. We ensure we comply with all international and local regulations to meet full Corporate Social Responsibility requirements, and we work with all our suppliers and customers to continually strive to minimise the impact on our environment. We welcome regular audits from all our customers.